White Paper Published By: Virtuant Corp. 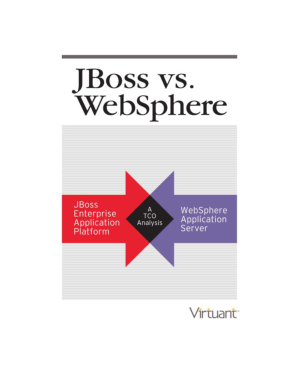 In this report, we compare two contemporaneous application server versions: WebSphere Application Server version 7 (WebSphere AS) and JBoss Enterprise Application Platform version 5 (Enterprise Application Platform). We set up equivalent systems environments, installed the application servers and two common applications with simulated workload using industrystandard tools, and ran diagnostics. To eliminate knowledge bias, we engaged the services of experienced professionals well versed in the respective application server technologies.